I haven’t really explained the MUT nor the OBD2 table before, but there isn’t any reason any of you guys need to play with them. They are just maps into the ROM. 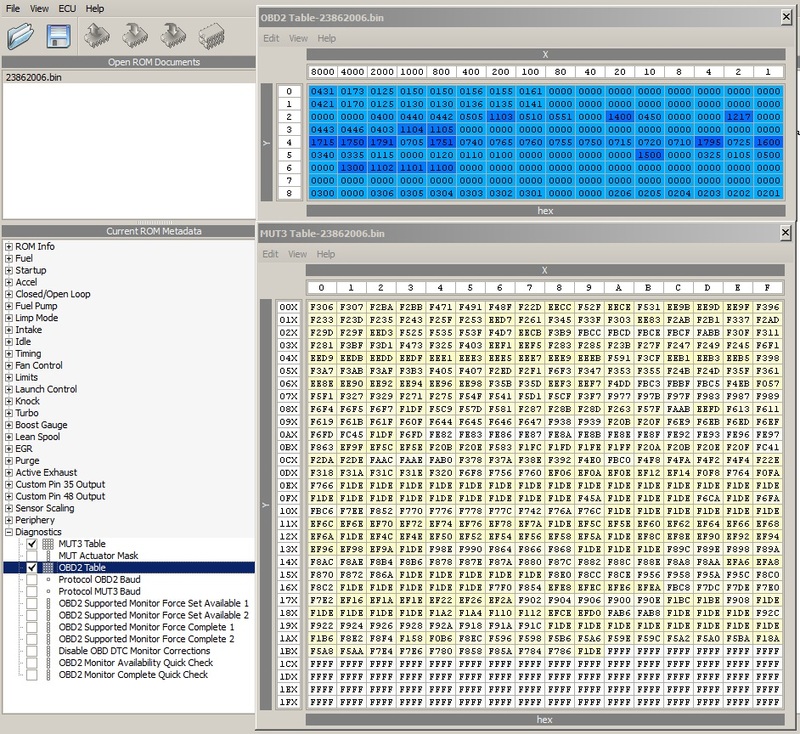 EVOScan uses the MUT table to log the addresses in RAM shown in the table. If you were to edit any of the addresses in this table, EVOScan won’t show correct readings. This is why I say that my EVOScan file will only work with Chrome. There are several changes I’ve made to the MUT for logging. 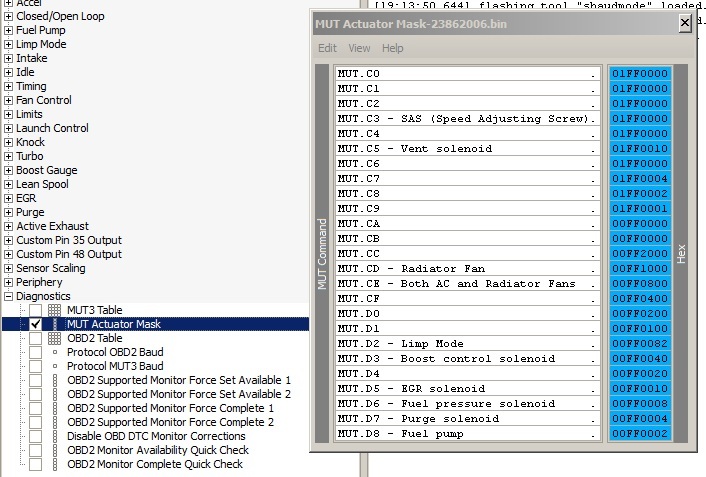 The OBD2 table functions the same way only it communicates with OBD2 protocols. 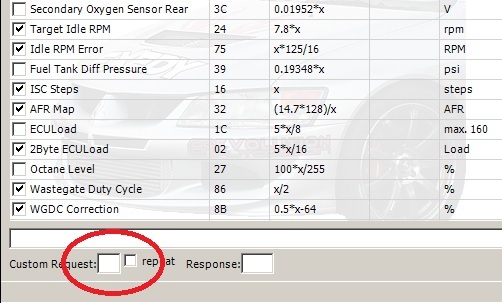 Any OBD2 reader out there uses this table. The MUT Actuator Mask table is handy for diagnosing specific functions. If you open up EVOScan and type in the MUT Actuator into the MUT section at the bottom while datalogging, that pin will activate. Say for example, you wanted to test your fans. In the table, MUT Actuator CE is for both radiator fans. Open up EVOScan and start logging. Type CE into this box, then check the Repeat box and within a second or two, both your fans will turn on. If only one turns on (or neither) then you have a problem. Note: that 91/92 cars do NOT have the fans tied into the ECU therefore this actuator won’t function. The Protocol Bauds aren’t anything you need to play with either. They’re just the speed at which the ECU exports data. We’ve experimented with speeding these up in an attempt to get more packets per second with data logging but it didn’t seem to make much difference.